Platt-Blau DDS (Eastchester) - Book Appointment Online! 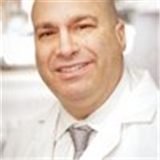 Dr. Platt graduated from New York University College of Dentistry and has served the Park Slope/Prospect Heights area for over 24 years. Dr. Platt offers the latest techniques and procedures in dentistry including implant placement as well as restoration of the implant. Dr. Platt is certified in Zoom Whitening and offers a special home bleaching system for all new patients. Our office mission is to provide patients with comprehensive dental care and keep our patients in excellent oral health. Do you have questions about your teeth or treatment that is available in dentistry. For example the difference between metal fillings and white composite fillings or the reason why treatment is needed, perhaps you grind your teeth, what damage will occur to your teeth or temporal mandibula joint(TMJ syndrome). Be prepared to receive the most comprenhensive dental exam you have ever received! It was very pleasant. Didn’t have to wait long. The doctor and technician were very professional. Will definitely go back. He was very prompt and gave very good information about options and advice.